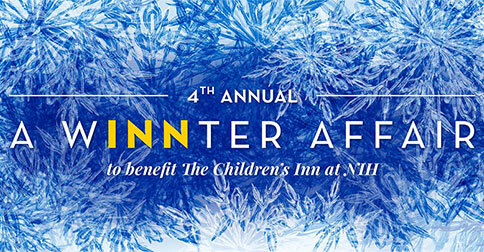 BETHESDA, Maryland (January 20, 2015) – Celebrate the 25th anniversary of The Children’s Inn at NIH at A WINNter Affair – an exciting evening of dancing, cocktails and hor d’oeurves, a silent auction, and raffle prizes. The gala event, hosted by The Inn’s Young Ambassador’s Council (YAC) will take place on Saturday, February 21st at the Pavilion at the Ronald Reagan Building in Washington, DC. The Young Ambassadors Council was founded in 2011 to increase opportunities for individuals in their 20s, 30s, and 40s to support The Children’s Inn through fundraising, social events, volunteer projects, and community outreach initiatives. Since 1990, The Inn has provided more than 12,500 children and families from all over the U.S. and 86 countries with a free place to stay while they take part in clinical trials at the NIH. Children ranging in age from infants to young adults participate in studies for life-threatening and debilitating diseases such as cancer, heart, lung, blood, bone and growth disorders, mental illness, rare genetic conditions, and undiagnosed diseases. While the NIH takes care of the child’s medical needs, The Children’s Inn tends to the child’s heart, soul and spirit through a wide range of therapeutic, recreational and educational programs. The evening’s sponsors include: Eagle Bank, Palladian Partners, 3M Corporation, Digicon, Trade Center Management Associates, and Cvent. For information and tickets, go to http://bit.ly/1AWuy6L and follow the event using #WINNterAffair.